“Reading Rainbow” was a wonderful show about reading that was beloved by many—even those who didn’t like to read! The genuine and amicable host LeVar Burton made the experience magical, taking viewers on a journey into excellent children’s books in every episode. The show strove to create a love for reading and learning and it did so beautifully. Relive the magic of “Reading Rainbow” by reading some of its classic picture books… in Spanish! Why Learn Spanish with Picture Books? 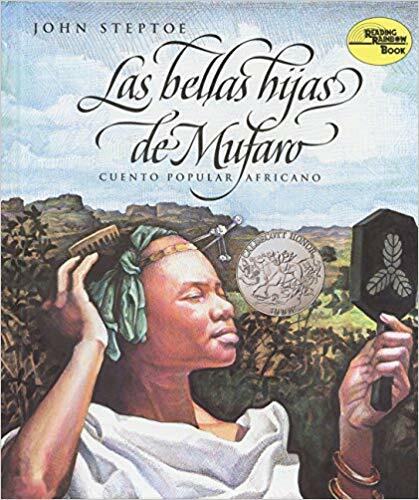 No matter where you are in your Spanish studies, you can find a picture book right for you. Some are completely basic while others are surprisingly complex. And there’s something to be learned from each! Children’s books aren’t just for kids. They have beautiful illustrations and fun stories that are appealing at any age. The short nature of these books also makes them ideal for repeated readings, ensuring you understand the material better and better each time. 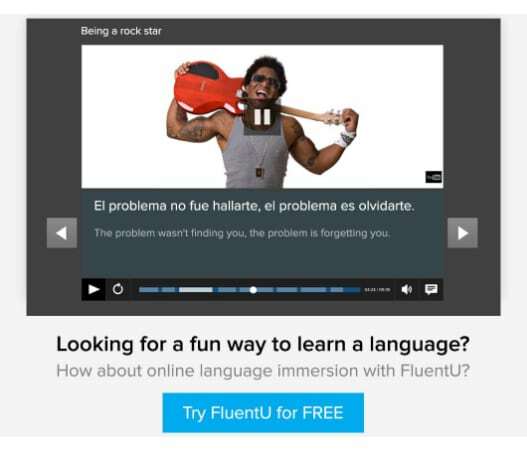 They also provide an easier way to start reading in Spanish. Since these books are written with kids in mind, they use repetition, simple language and easy-to-understand story structure. Don’t forget one of the most important benefits of learning Spanish with picture books: it’s fun! 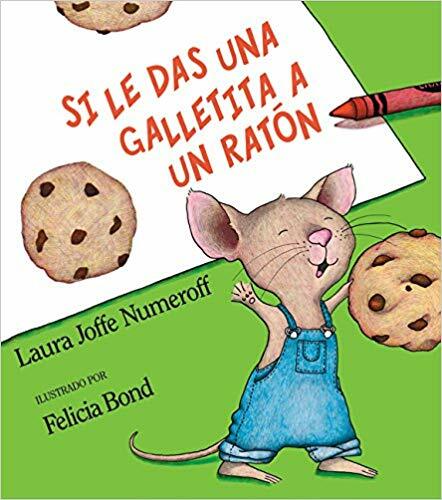 Many stories for kids are published in different languages, so you might get to re-read a childhood favorite, but in Spanish. Knowing what to expect can make the reading process much smoother, which also means you’ll get more enjoyment from it. And as LaVar taught us as kids, learning from a book doesn’t mean you can’t also enjoy it! Does the idea of learning Spanish with your favorite childhood classics appeal to you? Here’s a three-step approach to making it happen. One of the most disappointing things about graduating to more advanced literature is the lack of pictures. Pictures in children’s books are colorful, showcase different art styles and sometimes even add details to the story. Pictures are also an important tool for beginning readers in any language. When you’re learning how to read, pictures add context to the text. Remember what context clues are? Pistas que da el contexto (context clues) are bits of information you, as the reader, interpret from either a book’s text or its pictures. These context clues are used to determine critical story information including time, place, characters, plot, etc. When you’re reading a Spanish picture book, first look at the pictures and see if you can guess what the story is about before you read it. As you read, use the pictures to help you understand the text. Visual context clues are an underrated teaching tool; they’re used a lot in elementary school, but once you graduate to higher education literature classes don’t rely on them much. We forget how much educational fun can be had from more “juvenile” reading options like Spanish comic books and, of course, picture books. Another elementary school “learning how to read” lesson is creating vocabulary lists. Here’s a little hint for maximizing your learning: Make two vocabulary lists for each book you read, one for words you don’t recognize and one for conjugations you don’t know. You might recognize a verb but have no idea why it’s conjugated the way it is. Write it down! Once you finish a book, look up the words in your vocabulary list and add ones you think you’ll use to your permanent study plan. Then, use a conjugation app or resource to find out what tense the words on your conjugation list are using. Now you can re-read the book with a better understanding of its content! 3. …But you don’t have to take my word for it! 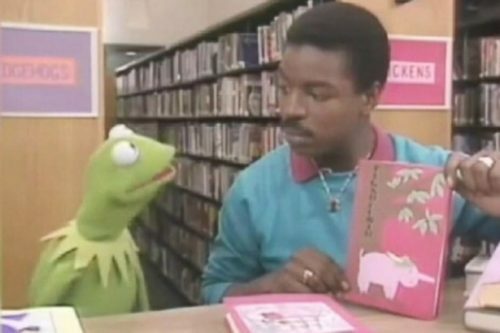 “Reading Rainbow” had a section in each episode where LeVar said “You don’t have to take my word for it” and handed the show over to kids to speak about picture books in their own words. Those kids were onto something there! Putting thoughts into your own words is an effective way to practice your Spanish skills. So once you finish reading your picture book of choice, make your own “you don’t have to take my word for it” segment! Use your own words to describe the events of the book and state how you feel about it, but in Spanish (of course!). 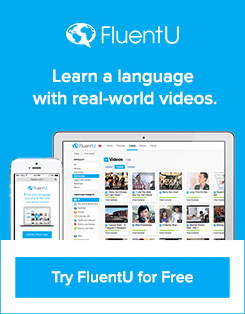 You can even record yourself and view the recording to check up on your pronunciation skills. Do your best to get your thoughts and ideas across, no matter what level of learner you are. If you can’t do it entirely in Spanish, then intermix Spanish words with English—as long as you keep going. The important part is that you’re learning and having fun! 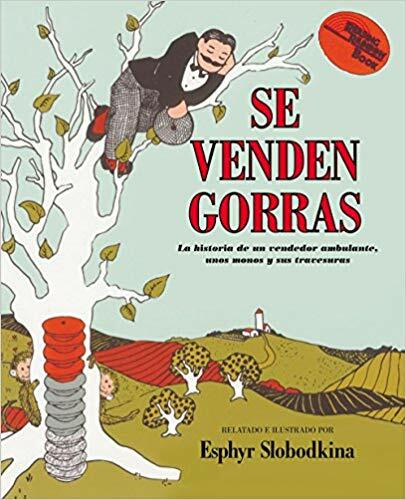 To read Spanish picture books you need… well, some Spanish picture books. So, first thing’s first: let’s get our hands on some books! Each of these book websites offers access to thousands of Spanish picture books, so you’re going to face the difficult decision of deciding which books to buy. It’s so hard to pick one picture book over another, especially when they all have beautiful art and you’re hungry to read in Spanish. Where do you start? Let’s turn back to the book man with the book plan, LeVar Burton. LeVar showcased lots of great books on “Reading Rainbow.”And I have wonderful news for you: you can get many of these books in Spanish! Goodreads has a list of the books featured on the show. According to the list, LeVar featured 160 books on the show, and that’s excluding the books reviewed in the “my word” segment. We’ve chosen to highlight five of these books below. For each book, you’ll find a link to a Spanish version you can buy on Amazon, a short description and a brief idea of what kind of language to expect in it. Sit tight and get ready to read! Written by Laura Joffe Numeroff, illustrated by Felicia Bond. What happens when a mouse visits your house and asks for a cookie? Naturally, you give him one. What follows is a funny sequence of causes and effects, and you soon learn that mice are surprisingly demanding guests. Through repetition of sentence structures, this charming classic teaches conditional tense and will make you an expert on “if… then” statements! Written by Peter Parnell and Justin Richardson, illustrated by Henry Cole. This is a groundbreaking LGBT picture book that stars two proud papa penguins. 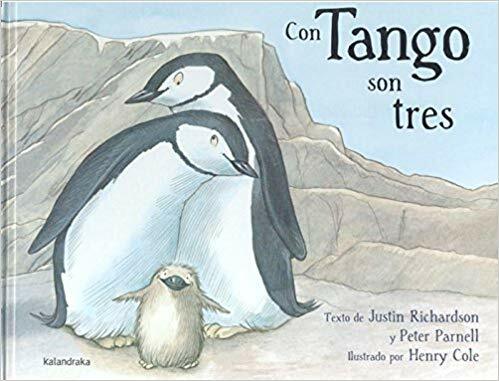 Based on a true story, the book takes place at New York City’s Central Park Zoo, where two male penguins fall in love, adopt an egg and raise a penguin chick. If you’re curious about Spanish animal words and family vocabulary, this book has them aplenty! It also uses very simple sentences, making it perfect for mid- to upper-beginner learners. Written and illustrated by Esther Slobodkina. This book tells the story of a peddler trying to sell caps. The peddler is quite unusual, however, because he wears all his hats on his head as he peddles them. One day, he decides to take a nap in a tree but while he sleeps a group of mischievous monkeys steal his caps and refuse to give them back. Learn the simple past tense with this book, as well as descriptive adjectives. Anyone who’s ever felt anxious about their first sleepover will relate to this one. 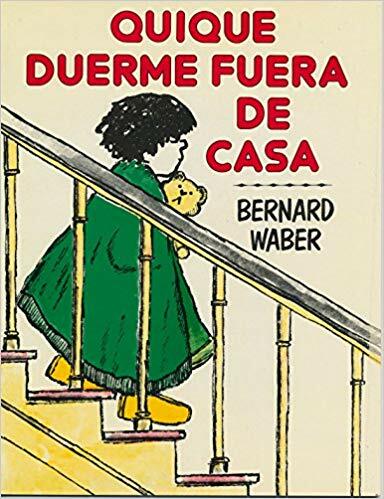 Ira (Quique in the Spanish version) is invited to sleep over at his best friend’s house, but he’s worried his friend will make fun of him for sleeping with a teddy bear. Little does Ira know that his friend has his own secret. Find out how to talk about your feelings and thoughts in Spanish with this charming tale. Written and illustrated by John Steptoe. This is a beautiful African retelling of the classic Cinderella fairy tale. Mufaro has two daughters: kind and considerate Nyasha and selfish and mean Manyara. The king announces that he’s looking for a wife and invites all the eligible women of the land to visit him. Mufaro decides both his daughters are great candidates for queen, but who’ll win the king’s heart? There’s much more writing in this book compared to the others on our list, so it’s best suited for intermediate to advanced learners. Expect more past tense, as well as conversational language in the form of dialogues. You’re all set with some Spanish picture books sure to make you enthusiastic about learning! Just take a look: the key to improving your Spanish skills… is in a book (bet you didn’t see that coming).